Hey Guys! I am sure most of you know that I am getting married this year (If you didn't, then check out the announcement here). This weekend JP and I picked up a few things for the wedding. I know I haven't really done a wedding post, so I decided this would be a good time to share a few of the things we got with you. The first place we went was Hobby Lobby. They had all their wedding items 50% off. 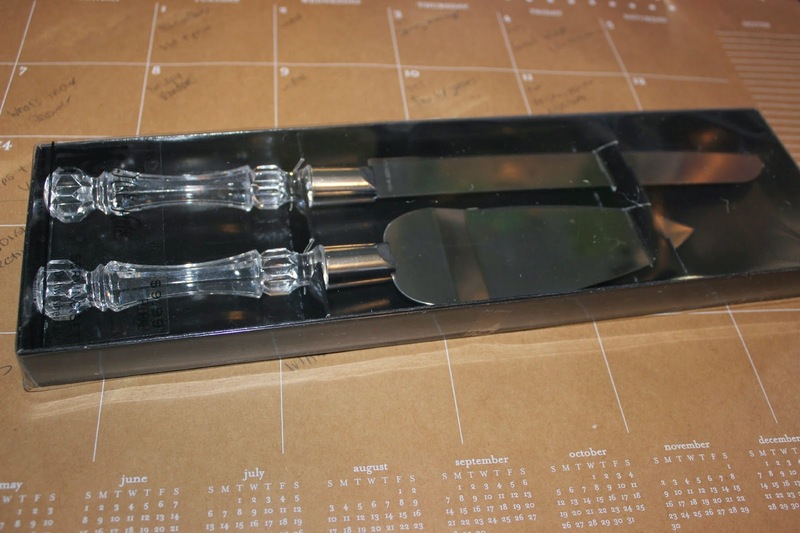 We got this cake server set for $4.99 (regular $9.99). We will be doing something with these, so they won't look like this on our wedding day. I got two burlap roses and a stem of burlap leaves. 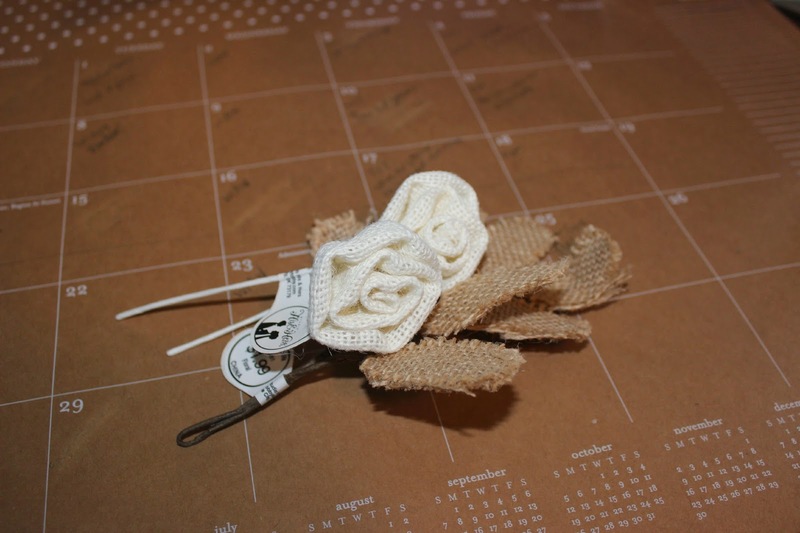 These are for the boutonnieres. They were each $1.99 regular price so we got them for $.99 a piece. 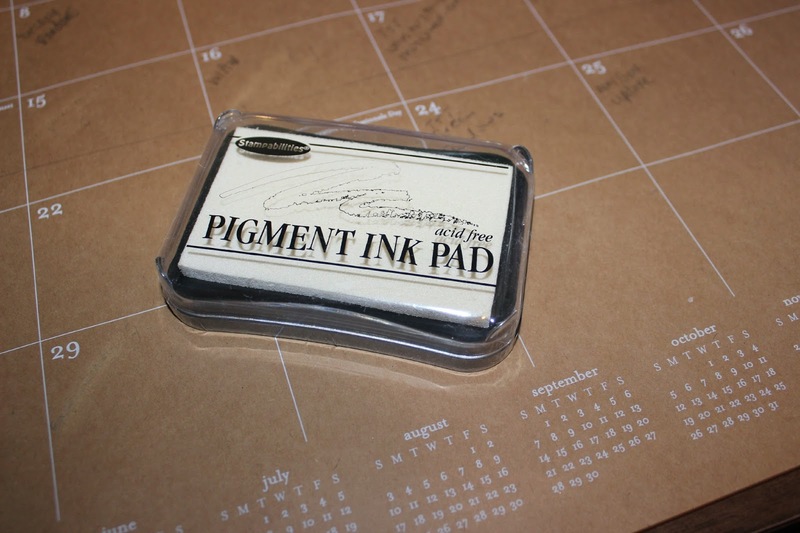 We got this ink pad for a project that we are doing with the favors. It wasn't on sale, so we used a 40% off coupon. It was regular $2.99 so we paid $1.79 for it. 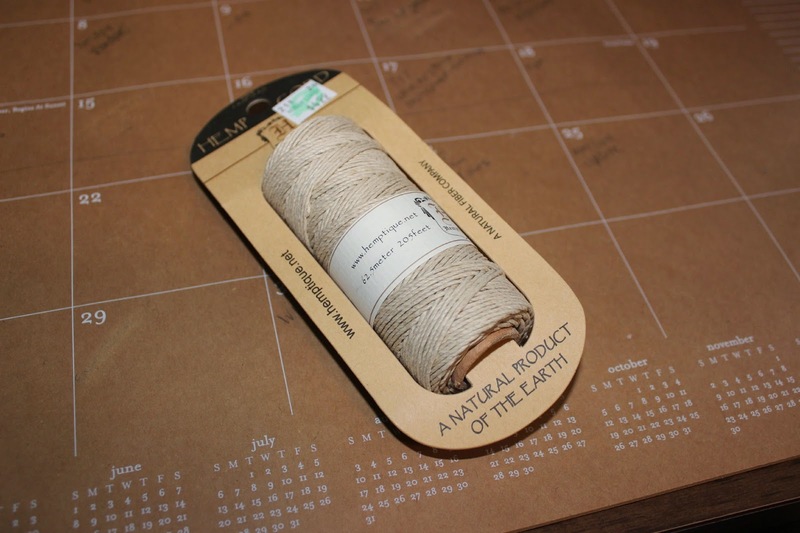 And the last thing we picked up from Hobby Lobby was this roll of hemp cord. We got it for part of the favors as well. It also wasn't on sale so we used a 40% off so I paid $2.99 for it (regular $4.99). Next was Michaels. I used a 20% coupon that I got off of Retail Me Not. It took 20% off of all regular priced items in my order. I like using this rather than the 40% off of one item when I have several smaller things to purchase. 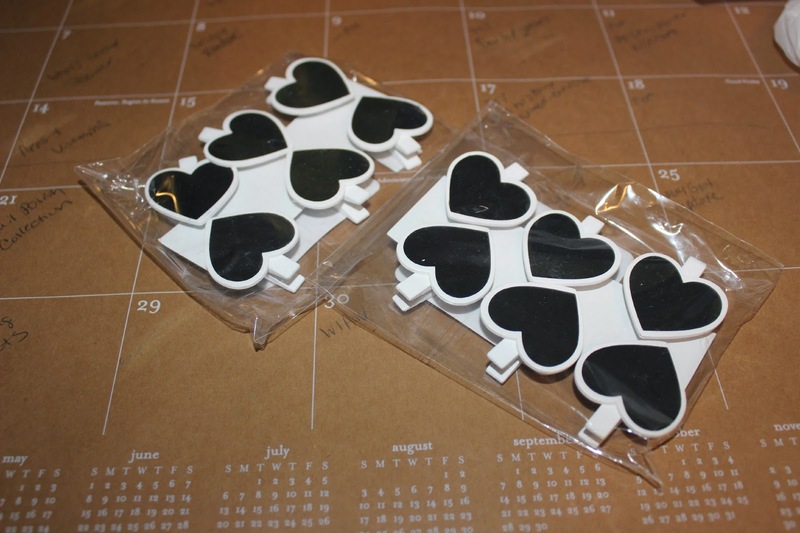 First I got these super cute heart chalkboard clothespins. They are going to be used for a project I can't tell you about quite yet. These were regular $1.00 a piece so I paid $.80 each. 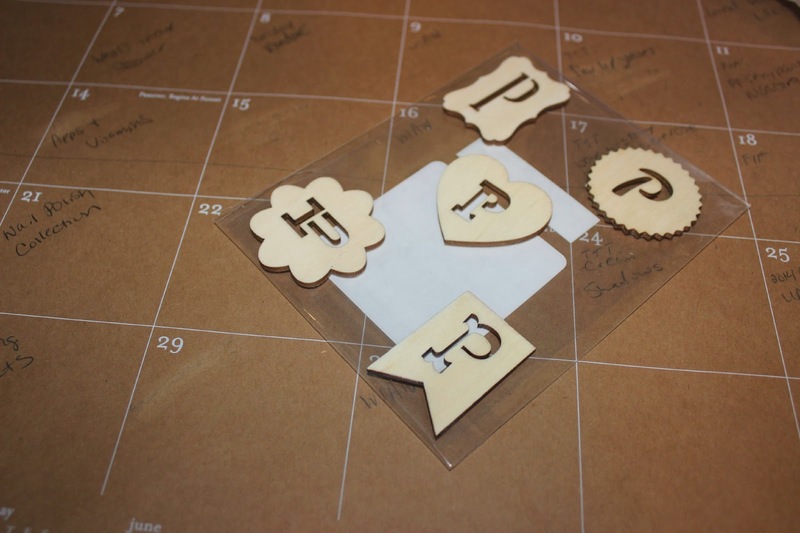 Next are these wood P stickers. I have no idea what we are doing with these. These were also $1.00 so I paid $.80. These labels are part of the favor project that I am doing. I got two sets of these craft paper labels. I paid $2.39 each (regular $2.99 each). 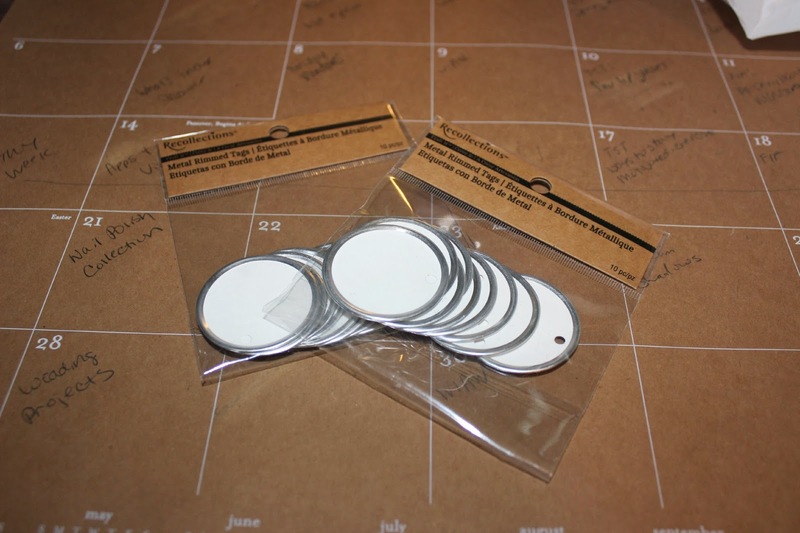 I also got these two sets of white labels for the exact same project. They were also $2.99 each regular price, paid $2.39 each. Then I hit up the Target Dollar Spot. 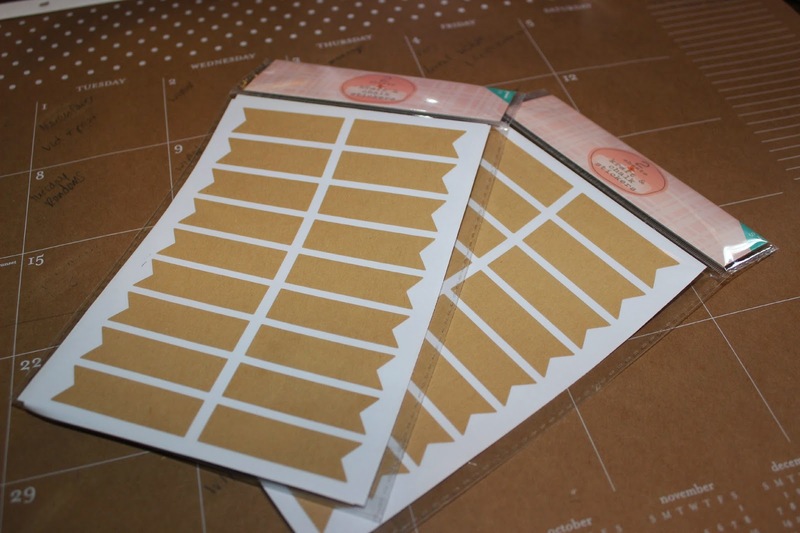 I found these super cute flag craft paper labels. 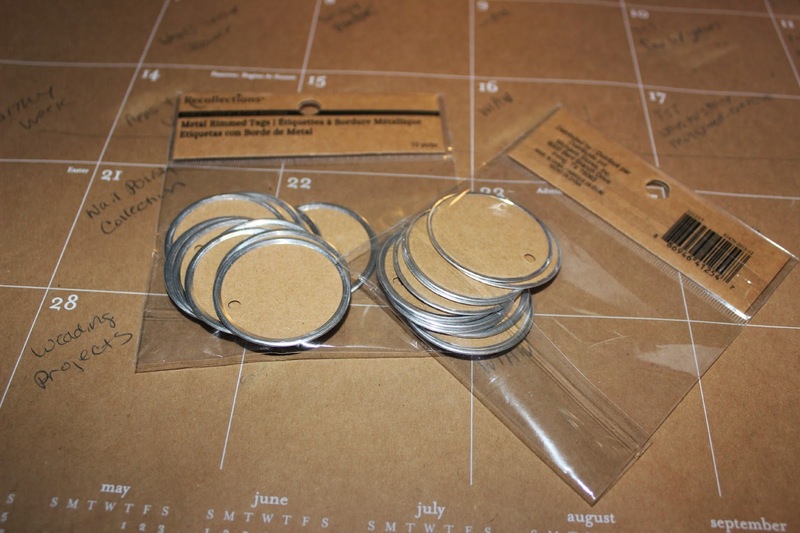 Each pack comes with the craft labels and also tag shaped chalkboard labels on the other side. I only need the craft labels for the wedding. These were $1.00 a pack! So there you have it. That is just a small haul of some of the things we have gotten. We have way more and I am planning on doing a post on some of our finished projects in a few weeks, so keep your eyes out for that.